Budapest, Hungary. 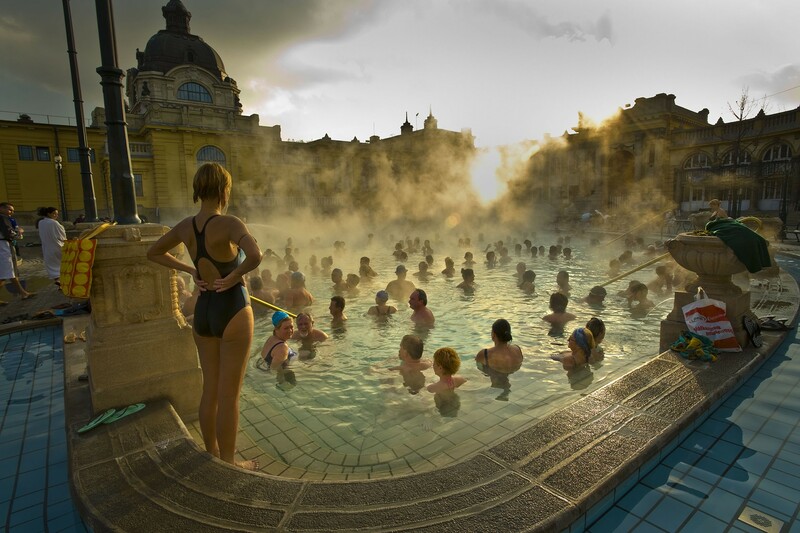 People relaxing in the waters of the Szechenyi Baths. The outdoor pool was opened in 1927 while the neo-Baroque building was built in 1913. The baths, one of several spas in the city, are reputedly medicinal and in 2011 it was discovered that their mineral rich waters come from an underground thermal lake.